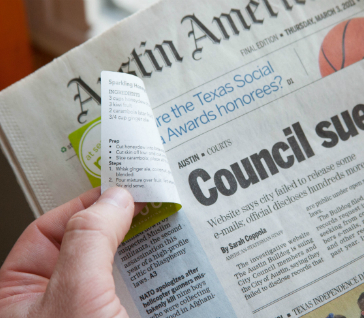 Front-Page Note Advertising provide a high-visibility advertising channel designed to draw attention and promote your message. 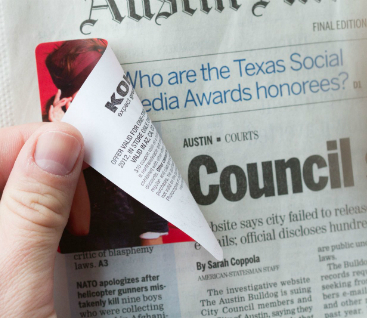 We can position your exclusive message on the front page -- above the fold -- to approximately 35 million daily national newspaper subscribers. 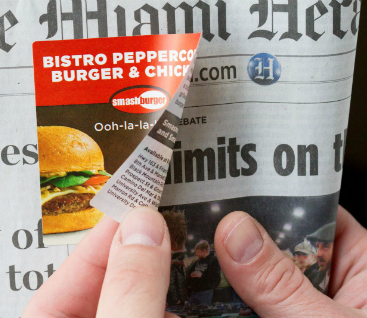 Front-page advertising products are being used as coupons, for special promotions, to test market new products or announce grand openings.